CAFFEINE provides the energizing effects of caffeine with zero added sugar or calories to support your training needs without compromising your dietary goals. Caffeine triggers a range of performance-specific benefits including improved focus, elevated alertness, faster reaction time, reduced fatigue, increased endurance and elevated mood. 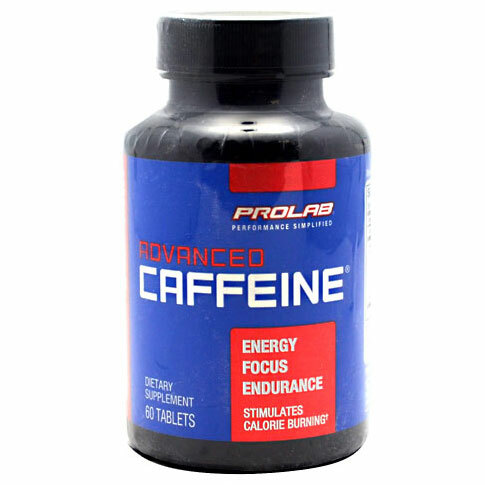 CAFFEINE delivers a surge of 200mg of caffeine any time you need to quickly jump start your mental and physical performance. 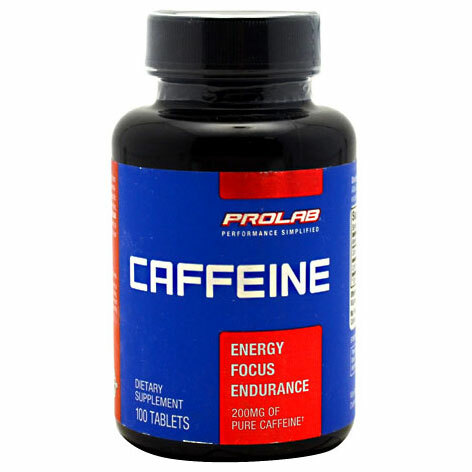 Prolab Nutrition Inc. has been providing high-quality sports nutrition products to professional bodybuilders, elite athletes and fitness enthusiasts for over 20 years. PROLAB has helped pioneer a sports-specific approach to athletes’ nutrition. Our comprehensive line of scientifically engineered formulas and single-ingredient products allow athletes to customize a nutritional supplement program to meet specific training and physique goals, as well as, support a healthy active lifestyle. •For bodybuilders who want to build size & lean mass. •For power lifters and other strength athletes who want lean, powerful and explosive muscle. •For performance sport athletes who desire strength, speed and efficient muscle gain. •For the everyday fitness enthusiast looking to build a lean, aesthetically pleasing physique. You can find PROLAB products at fine independent health food retailers, sports nutrition stores, and military bases throughout the world. We are proud of our reputation as a premium quality brand that focuses on delivering high quality, pure nutritional products. 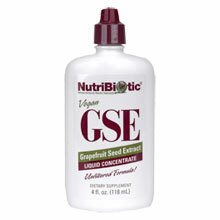 We are committed to bring you quality solutions and value for all your sports nutrition needs. Herbal tonics have a long history of traditional use for supporting normal energy levels, preserving vitality, and enhancing physical performance. 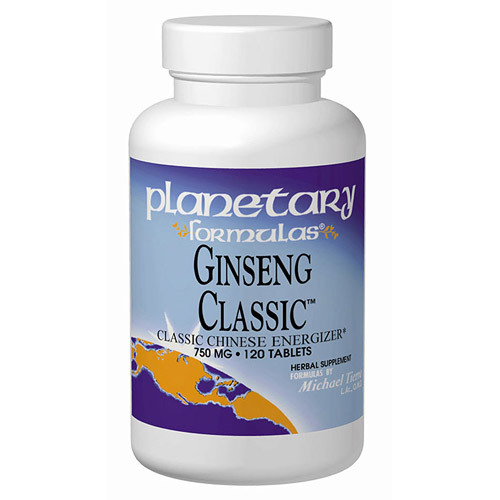 Ginseng, one of the most highly regarded energy tonics of Chinese herbalism, is an herbal adaptogen, which helps the body adapt to a variety of stresses. 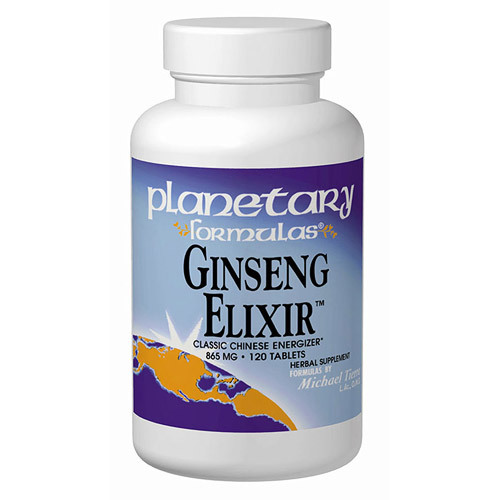 It is a key ingredient in the following ginseng energizers offered by Planetary Herbals. Full Spectrum™ Ginseng Extract combines a standardized extract of Korean ginseng root, concentrated to 20% ginsenosides, with whole Korean ginseng root. Combining the extract with pure root ensures all the important compounds of ginseng are captured, for a broad range of ginseng activity. This formula, formerly known as Four Noble Gentlemen, is one of the classic ginseng energizing formulas of Chinese herbalism (Si Junzi Tang). It was first written about in 1078 A.D., and has remained one of China’s most valued tonic formulas for almost 1,000 years. This dynamic combination reflects the tradition and power of Chinese classic formulas. It combines red Kirin ginseng root with atractylodes root, Poria cocos sclerotium, and licorice root. This classic Chinese formula was described more than 700 years ago (Bu Zhong Yi Qi Tang). Its combination of energizing and tonifying botanicals has been one of China’s most frequently used compounds for seven centuries. Included are astragalus root, licorice root, molasses, atractylodes root, bupleurum root, cimicifuga rhizome, jujube fruit, dong quai root extract, dong quai root, and ginger root. 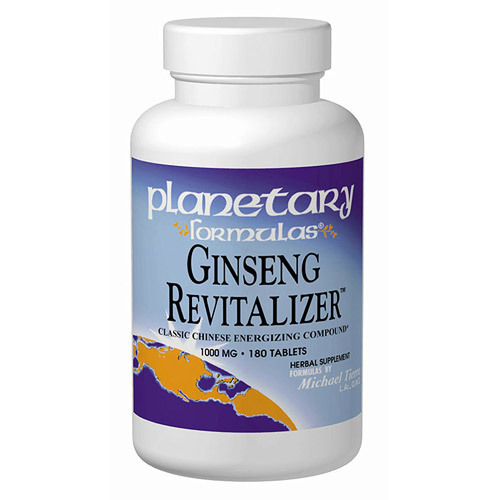 Ginseng Revitalizer™ is based on a classic formula that has been used since 1078 A.D. to support energy levels without the use of stimulants. This dynamic formula combines extracts and whole roots from several varieties of ginseng (Panax, American, and Tienchi) with Eleutherococcus senticosus and a blend of energizing and tonifying botanicals. Doctor’s Best will cover that extra boost you need in order for you to outlast the day, whether for your after-work gym activities or for a simple extra time to spend you’re your loved ones. 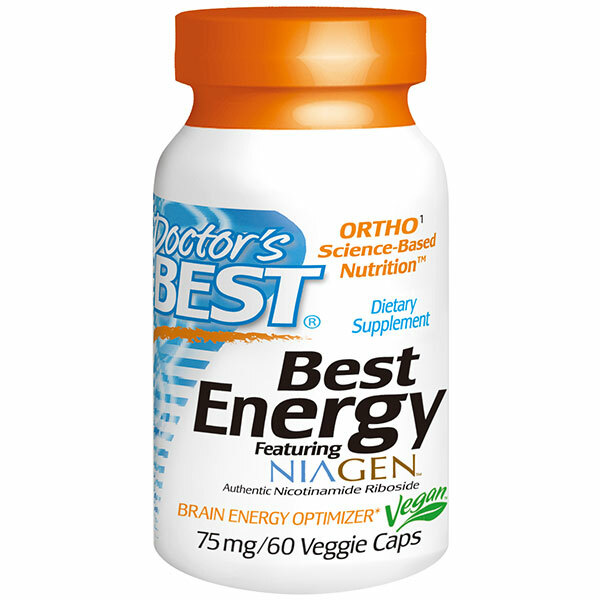 Doctor’s Best Energy featuring NIAGEN is a dietary supplement that promotes energy-dependent regulation of cell functions in your body and facilitates the utilization of glucose and fat that the body needs to produce energy. 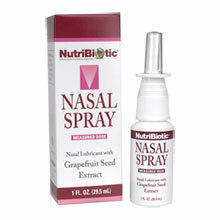 Primarily, this will keep your well-being up-and-running for few more hours, giving you more time for extra activities. Thanks to its key ingredients – primarily Niagen – this supplement will help supply the body with Nicotinamide Riboside or N(r), a supposed Vitamin B3’s (Niacin) next generation that is responsible for converting food into chemical energy, as well as for the regulation of the body’s metabolism. 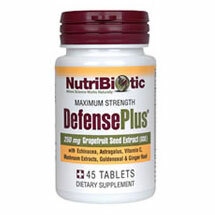 Basically, this Nicotinamide Ribosode is being converted into a co-enzyme called Nucotinamide Adenine Dinucleotide (NAD+), a vital factor in metabolism and energy production of the body. Along with this, Niagen is also responsible for the conversion of fats into Adenosine Triphosphate or ATP in the event the level of body’s Glucose declines. ATP is responsible for transporting chemical energy within the cells of the body to commence the metabolism process. This makes ATP go hand-in-hand with NAD+ hence, the lower the ATP, the lower the NAD+, the slower the metabolism process and production of energy. Moreover the presence of NAD+ of the body aids in maintaining brain health by constantly allotting a chunk of needed energy required by the nerve cells in keeping its function, as well in adapting to sudden body changes, giving you a more active and alert presence of mind. 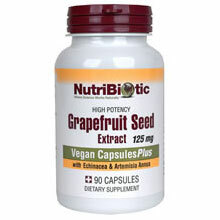 For daily dose, take 1 capsule, twice for every after meal, or as recommended by your nutritionist to power up your day. Keep up with your active lifestyle and push boundaries by exerting more energy without the exhausted feeling.